The BlogPaws Pet Bloggers Conference, Unplugged | Will My Dog Hate Me? Did you ever meet a couple of like-minded professionals and think, “We ought to put on an event together?” That’s not precisely how Caroline Golon, Tom Collins, and Yvonne DiVita started BlogPaws, a series of conferences and a community for pet bloggers, but it’s pretty darned close. Perhaps the lesson to be learned from the interview that the Animal Cafe Team — yes, Eric Goebelbecker, Mary Haight, Lori Huston and I all were in on it — did with Caroline Golon and Yvonne DiVita is: When you have a good idea and something clicks, go for it. And don’t ever forget to have fun. Ahem. But in the case of this particular conference, what happened was BlogPaws. Yvonne had started blogging on Lip-Sticking, which focused on woman and marketing to them, and then went on to write a sponsored pet blog, Scratchings-and-Sniffings. Caroline was honing the art of fund raising for shelters through her blog Romeo The Cat. At a BlogHer conference — devoted, as its name suggests, to helping women bloggers — Caroline approached Yvonne, whom she knew through Lip-Sticking, and asked why was there was nothing like this for pet bloggers. Tom, a self-described recovering lawyer and — as it happens — Yvonne’s husband, had long been interested in all things tech, and also studied design. And he had this fondness for animals. In order to serve as a resource, to teach others how to raise money and to get sponsored, they decided to do a “podcamp.” They figured maybe get a group of 20 to 25 people together. It turned into a conference: Blogpaws East in Columbus, Ohio, held in April 2010. We knew from personal experience that the Be The Change You Want to See segment was going to be popular. We just had no idea how popular it was going to be. Raising money for animal issues is something all the founders were devoted to beforehand, so they give back a portion of the conference proceeds to several animal organization a year. But I’m not going to give everything away. Listen to the interview — here’s the link again — to get details about the upcoming conference and also to see how a group of people can work together on a huge project and still clearly have a blast. One of the new features of the conference is a yearbook — kind of like a high school yearbook that everyone will get to sign. Eric Goebelbecker asked the question that was on all our minds, as we inwardly groaned at the thought of high school and the popular kids: How will we get people to sign it? It was a joke, but it’s also a fear I’d like to address. Blogpaws is not clique-y; I went to both conferences last year and I never saw any of that. Sure, bloggers who have met each other virtually or who have attended the conference before might gravitate towards each other at first. But think about it. This is a conference with dogs, as well as the occasional cat, ferret and guinea pig. How could people attached to fur-bearing critters possibly be standoffish? Looking forward to seeing you there! 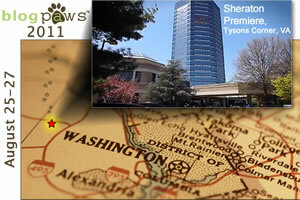 BlogPaws is sneaking up on me…it’s just a month from tomorrow! I would love to go though! Thinking of Frankie and hoping all is okay, Edie. Thanks, Carol — much appreciated. I love the relationships I’ve developed on-line with other bloggers, and hope to meet some in person one day! I hear you, finance wise. The first year I was asked to speak and the second year Denver was close enough to me that flights were cheap. This year finances are part of the consideration too (along with trying to figure out Frankie’s Vetsulin). 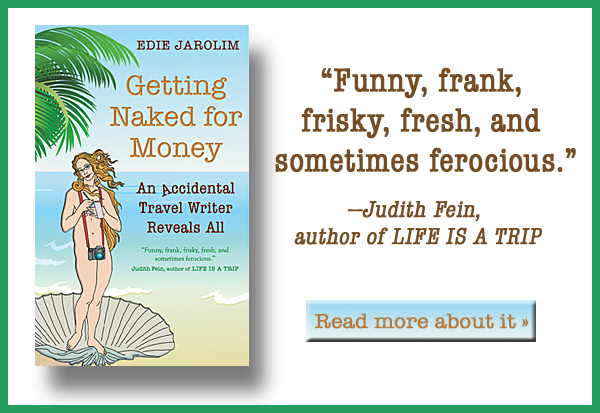 Hi Edie, I’m so sorry to hear about Frankie – he’s what’s most important, of course! We will MISS MISS you if you can’t make it to BlogPaws. But, we will totally understand! On another point, Thank You for this wonderful post about BlogPaws. I do have to add a little update… we have replaced the Yearbook with a mobile app! The mobile app will allow our attendees to meet each other and share information easily. Of course, being a conference for pet people focused on social media, the app was a no-brainer! I especially love your closing statement: “How could people attached to fur-bearing critters possibly be standoffish?” Answer: They can’t and they aren’t! I always say pet people are the best people and you prove it every time you write a post. Aw, thanks for your nice words about my writing and your good wishes to Frankie. The mobile app sounds awesome! Just to reassure everyone — Frankie is fine now but when I got back from California I had some problems with his medication. I switched to a different bottle of insulin and he seems to be doing great again, but this is his last bottle and I have to decide whether I want to try to switch him over to another type of insulin or go through the whole Canadian rigamarole again. And it’s a process that will go into August, so I’m concerned about leaving him with a pet sitter during that time. I think I’m going to be able to go… any idea how late I could register? It just sounds like such a great experience! I think you can register pretty much up to the end — you just won’t get any early registration discounts. It’s a lot of fun. Would you bring Bella? Oh good… it’s a bit up in the air due to my work schedule (hence the waiting), but I was worried there was a cut-off date or something. So far, it’s looking like i’ll make it. I didn’t realize you were so close that you could drive back and forth — nice to have that flexibility!